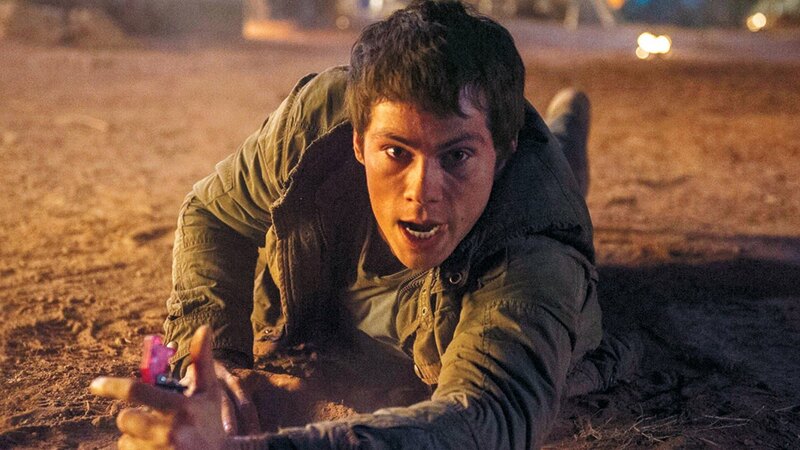 Teen Wolf’s Dylan O’Brien is back once again as Thomas in Maze Runner: The Scorch Trials, the sequel to last years The Maze Runner. A brand new second trailer has been released and we come to see first how Thomas originally came into contact with Ava Paige (Patricia Clarkson) as a kid. Bring it back to the present and we see Thomas, Minho (Ki Hong Lee), Newt (Thomas Brodie-Sangster) Teresa (Kayla Scodelario) and the rest of the surviving gladers being brought into a facility that protects them from the virus that wiped out most of the world outside of the maze. Thomas begins to suspect some shady business going on with Ava, Janson (Aiden Gillen) and the WCKD organization. They come to realize that WCKD is after something inside the remaining gladers and that their troubles from the maze is not yet over. The next half of the trailer showcases how this movie will be on a bigger scale than the original and will see the gladers team up with resistance fighters as they try and fend off both WCKD soldiers and the monsters created from the Virus all the while trekking through a desert wasteland. Other stars in the movie include Giancarlo Esposito, Barry Pepper, Lili Taylor and Nathalie Emmanuel. The movie is directed by Wes Ball and will be out in theaters September 18th. Scroll down to check out the trailer.